I’m currently in the middle of a Parks and Recreation rewatch, which is leading me to (a) wonder who is truly the worst between Tom and April (current thoughts: Tom might edge it, but at least he actually suffers consequences for his awfulness), and (b) constantly crave breakfast food. Breakfast food truly is the greatest, and Prague caters very well to any vegan who agrees. Satsang is yet another vegan-friendly brunch spot. Satsang is a charming vegetarian bistro that serves a brunch menu daily from 9am-3pm. 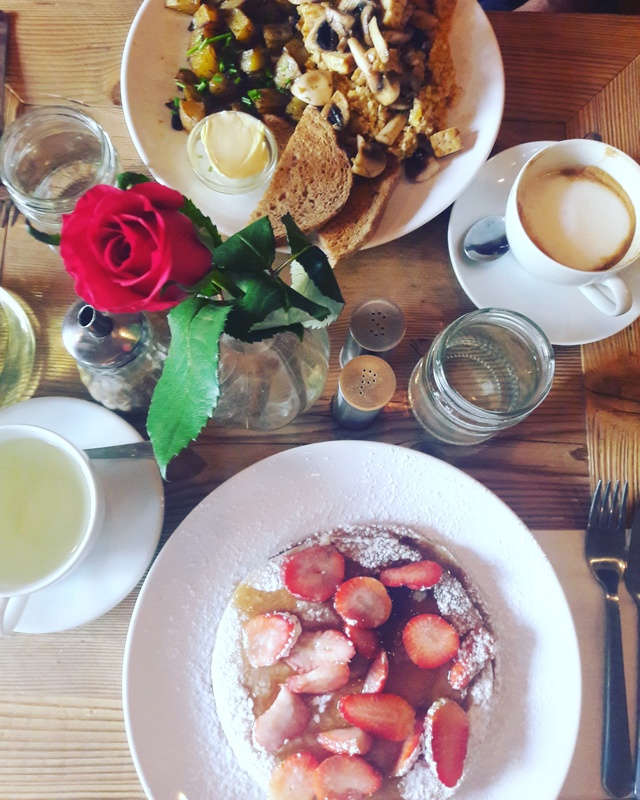 The menu is quite egg-based, but they do have a few vegan offerings, including vegan pancakes, which I’m powerless to resist. They also have a tofu scramble listed amongst their scrambled egg dishes, and this is what Dr HH had his eye on. But when we ordered these dishes, things didn’t exactly go smoothly. 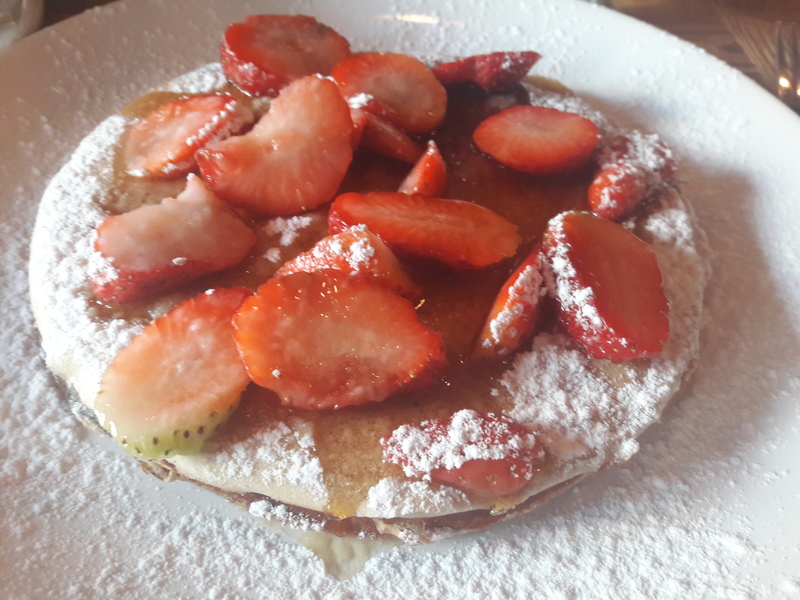 When I asked for the vegan pancakes, the waiter said he wasn’t sure if they were available and he had to check with the chef – after a brief discussion, he confirmed that I could have them. When Dr HH asked for the tofu scramble, he was also told that it might not be available. This time a much longer discussion took place between the chef and waiter, during which we felt concerned -they were the only two vegan options we were interested in (I think there may have been just one more vegan option as well), and no vegan likes to hear whispered discussions when they order – we can be a bit paranoid about that kind of conferring. Eventually, we were told that the vegan scramble was on! 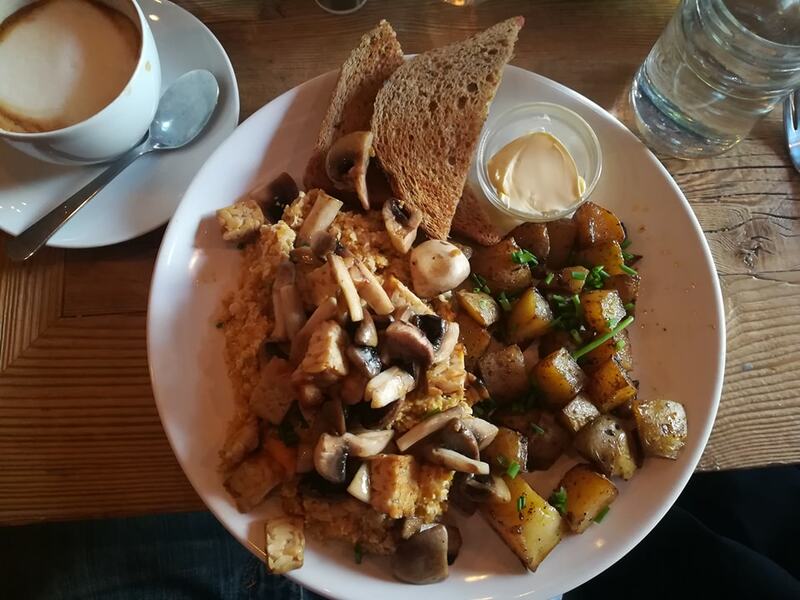 Presumably the reason for the indecision was that they didn’t actually have any tofu – it turned out to be a chickpea scramble. Every topping costs more, and as you can see, he went to town with tempeh (I think the menu said it would be smoked – it wasn’t) and mushrooms. And it was a hefty portion already, with all those potatoes and a bit of toast as well! He enjoyed it, though a tofu scramble might have been preferable. So, we both enjoyed our dishes, but were a little concerned that they weren’t entirely geared towards vegan diners. I think it would be a great spot for vegetarians, but perhaps not a must-visit for vegans, as I wasn’t entirely confident they knew what they were doing and they clearly weren’t well-stocked with ingredients – they didn’t even have tofu. For balance though, Dr HH went once before on his own and the staff were really on it and knowledgeable about the vegan options, so it’s possible that we were just unlucky. Moment will remain my personal JJ’s Diner, but Satsang is a good backup choice if I ever fancy a change. 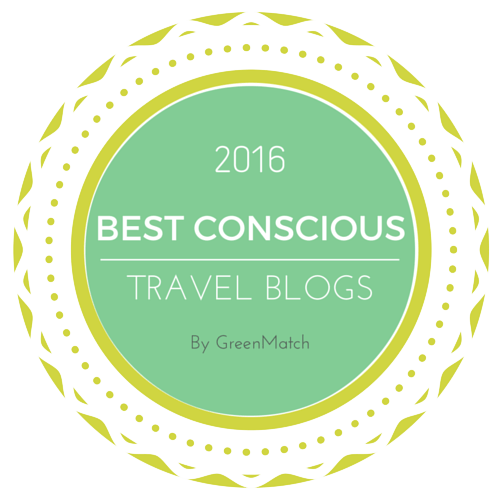 This entry was posted in Travel and tagged Satsang Prague, vegan brunch Prague, vegan Prague, vegan travel. Bookmark the permalink. Anyway, I agree that it’s disconcerting to hear whispered conversations after ordering the vegan option! At least it worked out OK. Yes, how does she keep getting promotions and amazing opportunities? And why does Ann keep trying to win her over and build a friendship with her? Aaargh.